In the drawn-blinds gloom of the parlor of the Coach and Horses Inn, Bramblehurst, England an assembled crowd gasps and shrieks in horror as a stalking stranger removes his false beard, bandages and spectacles to reveal nothing but air. Mere days later, a man cowers in his study as an ax floats towards him, the police patrol meant to protect him dead on his yard. For this man has angered that nigh invincible agent of death and chaos, the Invisible Man. 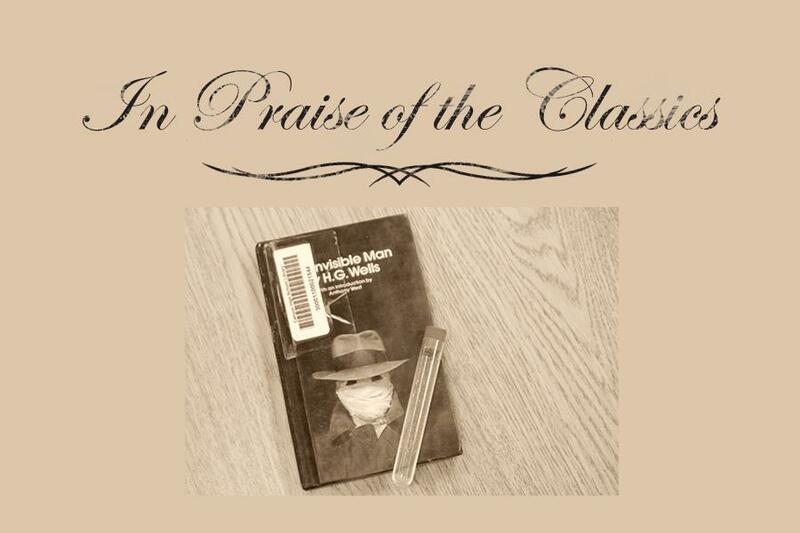 “The Invisible Man” is a science fiction horror novella by H.G. Wells, first published in 1897 in serialized form, and in book form later that year. “The Invisible Man” details the life of Doctor Griffin, a madman who has created a means to become invisible. “The Invisible Man” opens in the Coach and Horses, where the first third of the novella is spent. Here, Griffin is introduced in the dead cold of a snowy February evening in the English countryside as Wells displays one of the two strongest elements in the story: its tone. Throughout “The Invisible Man,” Wells’s narration drips with eeriness, detailing Griffin’s strange and now iconic attire, cold, isolated and poorly lit settings, and some of the most iconic acts in horror, including multiple brutal murders by a killer that cannot be seen. However, the novel’s unsettling tone is occasionally undercut by moments of humor, most of which are provided by the character Mr. Marvel, the town drunk of Bramblehurst. These anecdotes are not necessary, and through them, Wells commits the unforgivable sin of giving an invisible homicidal maniac a comedic sidekick. Other main characters fulfill their roles adequately, especially Dr. Arthur Kemp, a likable protagonist who also possesses a personal knowledge of Griffin. Yet these characters are the other failing point in Well’s novella, as they are widely bland and very one-note, again especially Dr. Kemp, who in spite of being relatively relatable, is such a basic good guy that a chair with a personal relation to Griffin could easily substitute as a protagonist. However, Wells chose to focus his story upon the Invisible Man himself, and “The Invisible Man” is all the better for it. Dr. Griffin is a wondrously entertaining homicidal lunatic, and his presence in any setting immediately improves it, as the reader is in a perpetual state of curious horror as to what this madman will do next. Yet Griffin would be far less terrifying if he could be seen, and his invisibility is ultimately the strongest feature of “The Invisible Man,” as it turns Griffin into the horror monster legend he is today, on par with Dracula and Frankenstein’s Monster. The thought that a serial killer is stalking about, invisible and prepared to murder as he pleases makes “The Invisible Man” the perfect novella for any science fiction or horror fan to read on a dark and stormy night.